Here is the quick list of the top four dating sites in Canada. I’ll go into more detail in my reviews later in this article. Online dating has taken Canada by storm. Canadians and foreigners alike have a ton of dating sites to choose from, making this country an ideal place if you are looking for love online. As a general rule of thumb, the best online dating sites in Canada will be same as the best online dating sites in the United States. There are exceptions here and there, but, overall, those sites that are most popular in the U.S. will also be the most popular in Canada. A great online dating site has a lot of members, a clean interface, and a decent male to female ratio to make it worth your time to sign up. 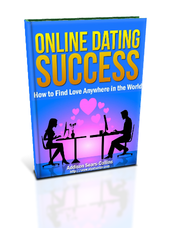 With all of the sites I will discuss below, your best chance for success with online dating in Canada will occur if you live near a big city like Toronto, Montreal, Vancouver, Calgary, or Edmonton. These cities tend to have a larger pool of available singles from which to choose. Like the United States, Canadians are a melting pot of cultures and races. You will find a lot of hot men and women of all shapes, sizes and colors. 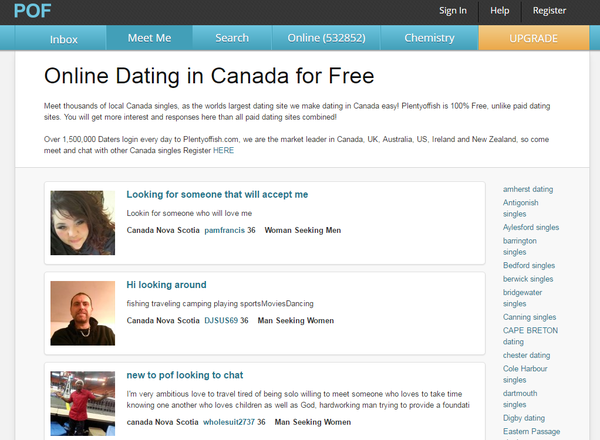 Without further ado, here are my detailed reviews of the top four dating sites in Canada. If you are in Canada, eharmony is the first site I would sign up for. The site was founded by Neil Warren, a professional psychologist and accomplished author of 10 books on love and marriage. eharmony has around 33 million members worldwide. eharmony’s design and features are some of the best, and a hefty price-tag comes along with them. If you’re seriously looking for a long-term relationship, one that might lead to marriage, you’d be hard pressed to find a better site than eharmony. Sign-up starts out easily enough, with your name, gender, match gender and location. Next, enter your email, password and how you heard about the site. Now for the personality test, which will take you 30-40 minutes to complete. Most of the questions you answer by choosing on a scale of 1-7. Sections include: how applicable a word or phrase is to you, how often you’ve felt an emotion in the past month, how much skill or passion you have in/for a certain activity and your style and values in a relationship. Finally, upload a profile photo (optional), and you’re registered. At this point you are only 50% done with your profile however, with many different sections to fill out if you choose, including favorite interests, life skills, and an OkCupid-like question system. Much like other personality test-driven sites (e.g. EliteDating), eharmony has no typical browse or search features. Once you’ve completed the sign-up process, eharmony will compare your test results with other members’ to find and present you with matches, which can be filtered by age-range and location. You can view your matches’ profiles but not their photos. Premium members also gain access to the Secure Call feature, which allows you to call other members with your phone, while keeping your number and information private. Quick Questions: Send 5 questions, chosen from 55 options, such as What’s your philosophy on travel? and What’s your opinion of traditional gender roles?. Your match chooses pre-written options as answers and replies with 5 questions of their own. Makes or Breaks: Share what would make or break a relationship for you. “Make” examples include: sense of humor and affectionate. “Break” examples include: racist and cheating. Digging Deeper: Ask some of eharmony’s questions (e.g. Describe some personal habits that are important to you) or write your own. eharmony Mail: The final step is the basic eharmony messaging feature, which you can skip right to if you want. Match.ca is the second best online dating site in Canada and is where I would go after eharmony. You can sign-up in the blink of an eye. To create your profile, provide your birthday, gender, your match gender, email address, username and password. Once this is done, you’ll be sent to the first page of questions regarding your appearance, personality, interests, lifestyle and what you’re looking for in a match. There are nine pages of these kinds of questions, but it’s not required that you answer them all upfront. If you want to start browsing the site, go to the top and click on a tab. You will be asked to choose three matches so that Match has an idea of what type of profile you’re interested in. Basic search: Have the same birthday as me, today’s their birthday, Perfect matches, Mutual matches and Reverse matches. Advanced search: Choose various filters to narrow your search, like location, age, lifestyle choices, and appearance. Shuffle: This is a feature like on Tinder where you see random profiles and like or dislike them. When there’s a mutual match, you will receive a notification from Match. While you’re a free member, you are allowed to browse to your heart’s content, sending out Flirts, but when the urge to actually speak to someone arises, you’ll need to upgrade to a Premium membership and pay the fee. Once this is done, you can send messages and initiate chats with other members who happen to be online. You can also Favorite the profiles you like. Sadly, Match Canada doesn’t have audio/video features. Match Canada hosts events in the real world for members, which is an amazing feature. To be included, all you do is look for the Events tab located at the top of the web page to view all the listings and be added to the guest list. These events are categorized as Activities or Evenings. Activities are fairly busy affairs, such as classes in photography, cooking or mixing cocktails. There are also tours of interesting exhibitions at museums. Evening events are more relaxed gatherings for members, usually for drinks at a pub or bar. Most events are totally free, plus you’re often allowed to bring three friends along, whether they belong to Match.com or not. LavaLife is a dating site veteran, originally formed in 1987. This site is based in Canada, and thus available in French/English but is widely international, with more than 10 million members around the world. LavaLife has a clean, polished website, and fantastic features. Besides a strangely difficult registration process, I thoroughly enjoyed this site. It doesn’t matter where you are in the world: if you are looking for singles online, LavaLife is a great site to try. Signing up was my only negative experience with LavaLife. I’ll spare you the boring story – suffice it to say, a number of technical difficulties made it a long, frustrating process. With that said, the support team was responsive and helpful, and I easily got someone on the phone when I called. This might have been a freak occurrence, but I figured it’s worth mentioning as I’ve never had these kinds of troubles on other dating sites. If all goes well, signing up should only take you 10 minutes max, and completing the process will net you a free 7-day trial of a premium account. Start with your name, gender and match gender, birthday, email and password. Next, enter a username and your location, height, body type, ethnicity and religion. After this, select what you’re looking for on the site and enter your education, smoking/drinking habits, whether you have/want children and your annual income. Finish up by uploading a photo (you cannot skip this step). There is also a Backstage area, where you can upload photos and videos that can only be seen by profiles you invite. LavaLife doesn’t provide any matches for you, so it’s up to you to track them down. Thankfully, searches can be filtered to a considerable level of detail. Filter options include age, location, education, ethnicity, height, body-type, smoking/drinking habits, religion, zodiac sign, interests and more. You can also search members who have photos/videos or are online, local or new to the site. Lavalife also has a new “In Common” feature, which lets you browse members by common interest. As a free member, you can send Smiles and reply to any chat requests or text or voice messages you receive. Premium members can initiate communication with anyone. If you have photos or videos saved in your Backstage area, you can invite members to view these. LavaLife also supports Twitter feed integration and the “Call me” feature, neither of which I’ve seen anywhere else. For the Call Me feature, you invite someone to call your actual phone number. If they accept, both of you give your phone number to LavaLife. Once LavaLife has both of your numbers, they call each of you separately and connect the two of you over the phone. This way, both of your numbers stay anonymous. Brilliant! When registering for LavaLife, there are 3 separate sections you can sign up for: dating, relationships and intimate encounters. With a single account, you can create separate profiles, with separate photos and taglines, for each one, to ensure anonymity. Each community also has its own content, forum, polls, and searching/browsing functions. LavaLife also hosts group video chat “Parties” 5 times a day! Plenty of Fish started in 2002 and has more than 30 million registered members worldwide, with 3 million active users per day. 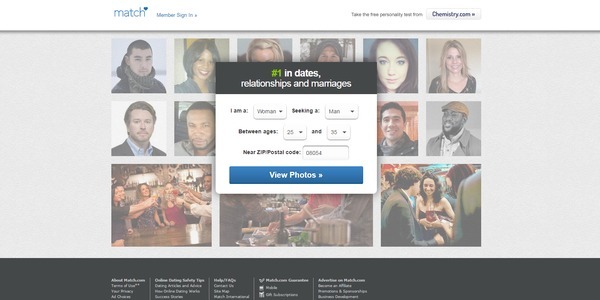 Plenty of Fish is a free site and keeps itself afloat with lots of advertising. This might sound great, but it is not. As they say, you get what you pay for. Because it is free, you will find that you will need to send out tons of messages even to just get one response. I also found that the overall quality of the members on POF was lower than the pay sites I mentioned above. To start, enter your username, password, email, gender, birthday, location and ethnicity. Doing this will take you to a new page with a questionnaire to fill out, with questions concerning your basic information, appearance, interests, lifestyle, etc. There are some unique questions sprinkled in as well, such as whether your parents are still together and what child you are (oldest, middle, only, etc.). This section is finished with three text-boxes for you to fill out: Description (of yourself), Interests, and First Date. Plenty of Fish claims that any sexual language in these boxes will result in your account being deleted, but I saw sample profiles on the front page that flaunted this rule, so I’m not sure how strict they actually are. Next, upload a photo, and you are done. Plenty of Fish gives you a couple options to find new matches. First there is Meet Me, where you are shown random profiles, asked if you would like to meet them, and notified when there is a mutual match. These matches are recommended based on your location, profile and site activity. Basic search lets you filter by gender, age-range, ethnicity, location, image-status, relationship intent, body type and education. Advanced search lets you filter by anything specified in your profile. You can also search by username, and Online Now shows you profiles that are currently online, as well as profiles that were recently online, sorted by how recently. As a free site, it’s not surprising that Plenty of Fish’s communication features aren’t very exciting. Your options are limited to sending virtual gifts or messages, and live chat. You can attach gifts and images to messages, but they are text only. Plenty of Fish also lets you filter who you receive messages from, based on gender, country, age and length of first message. Plenty of Fish has a number of personality tests you can take to find better, more compatible matches. These tests include: Seduction Style Guide, Relationship Chemistry, Relationship Needs Assessment, Is Your Love a Keeper? and a Psychological Assessment. These are surprisingly in-depth tests, some up to 100 questions long, with detailed personality reports available afterward. These tests were my favorite features of the whole site.